We can’t believe the difference here. 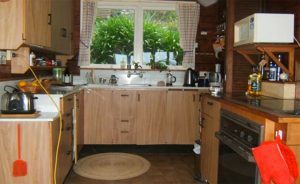 This old Lockwood home had a dark, cluttered, and uninspiring kitchen set-up from the seventies. Storage space was practically non-existent. Bench space was also very limited. 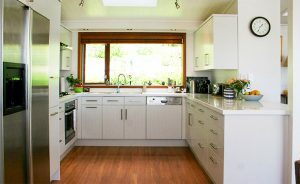 The brief was to create a bright, modern-looking kitchen that sat well in a home that still has that Lockwood homestead feel. Storage was a key concern. Lightness and practicality were also major design objectives. The design had to be fitted around Lockwood beams and posts. This, and other design limitations were overcome with some innovative thinking which included accessing some of the kitchen space from the outside of the house. 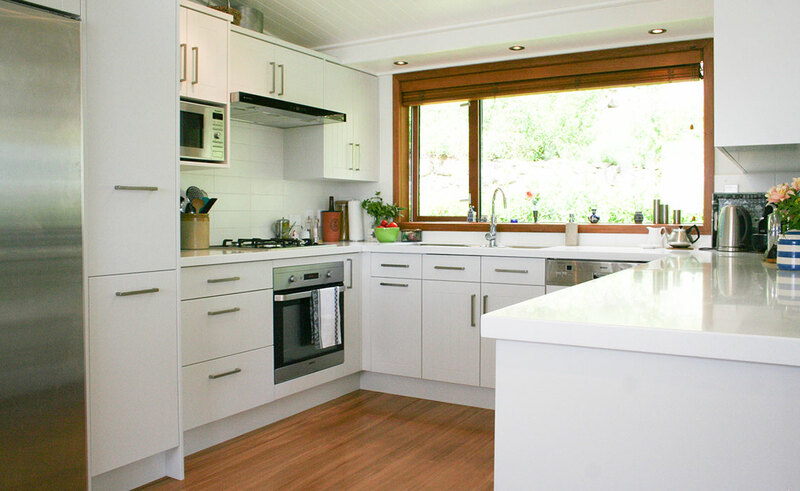 The acrylic benchtop, a Laminex Solid Surface in Helsinki colour had to be formed around the Lockwood posts. Storage issues were addressed with the use of pull-out systems where possible. Modern storage strategies and products are now a world away from those available when the house was commissioned so some very good gains were achieved. The Dezignatek soft-close cabinetry provides an elegant look and feel. The talented designer is Carol Harker. 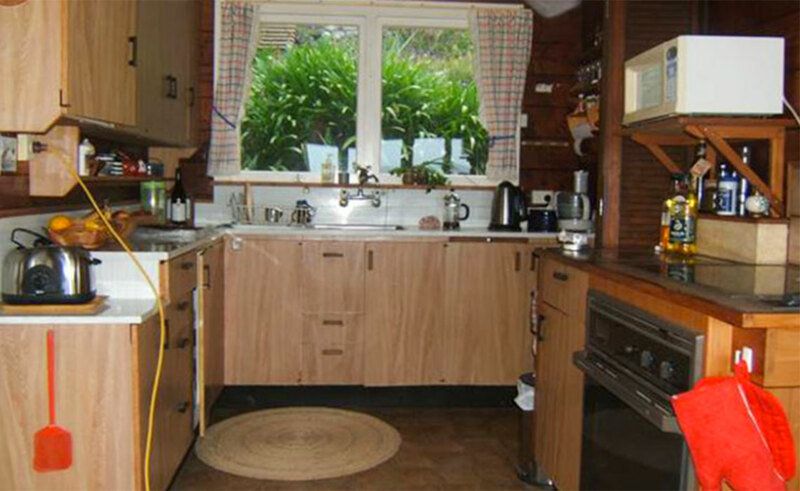 Together with her husband, Tony Wilson, they own and operate Mastercraft Kitchens Whitianga.